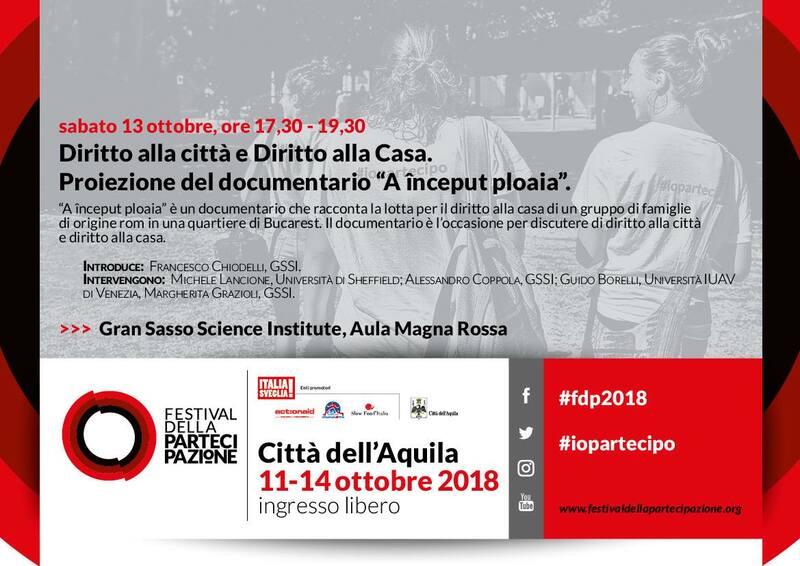 I am happy to be part of the Festival della Participazione, a long-standing festival concerned with civic participation, critical readings of democracy and public debate. The festival takes place each year in L’Aquila, not far from Rome, where the Gran Sasso Science Institute, with its excellent Urban Studies Faculty, is located. Please share this information with your colleagues and with non-academic activists that may be interested in this project. We are looking for 500 words abstracts by the 5th of March and that contributions are paid for and peer-reviewed. The RHJ is an orientation, a praxis for doing research and action. It seeks to critically intervene in pre and post-crisis housing experiences and activist strategies from around the world without being confined to the strict dogmatism of academic knowledge production. Check out our Manifesto at www.radicalhousingjournal.org. The first issue of the RHJ will focus on practices and theories of organising around housing struggles that have emerged post-2008. Conscious of the fact that the 2008 crisis did not impact in the same way everywhere, we invite contributions addressing how, in the last ten years, organising and activism have changed both locally and globally. What did that crisis bring to the fore and how have activists worldwide responded to it? How do those responses relate to older mobilizations, and what emerges as different? How can resistance be theorized today, and what can theory do for the future of housing struggles? We invite theoretical and empirical pieces, focusing on specific cases or speculative in nature. The RHJ is structured around four sections. The first two host substantive original works and are blind peer reviewed (by one academic and one activist non-academic). The other two – conversations and updates – are not peer-reviewed. We welcome papers on theorising resistance and activism in the post-2008 worldwide, being they driven by speculative, case-specific or comparative arguments. Papers should aim for theoretical innovation and conceptual finesse. This section welcomes papers that are oriented at reconstructing, in details, particular histories of movements, organisations and/or actions in the post-2008 scenario worldwide. Paper should aim for historical rigour and depth. Debate-like pieces, written collectively, to reflect on specific actions and strategies. We welcome reflection on the challenges of particular organising approaches and practices. We welcome reviews of books, films & more; and updates on current actions. 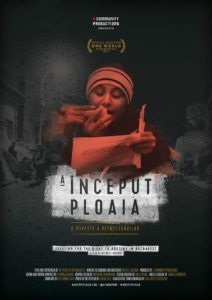 A inceput ploaia, ‘my’ first documentary. Why, when, and how. 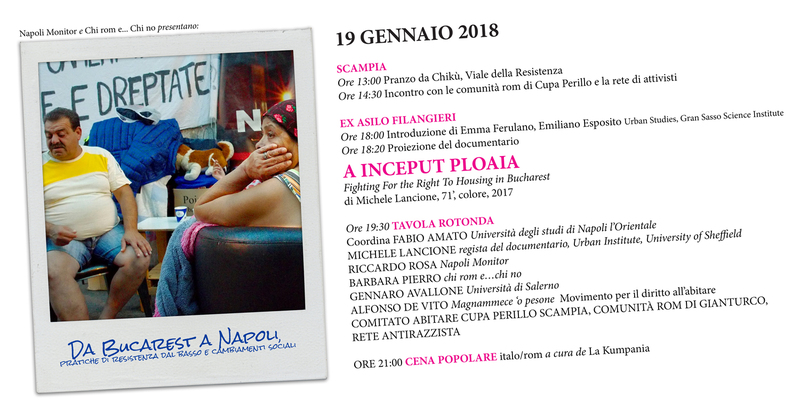 A început ploaia is the first documentary about forced evictions in Bucharest, which I written, researched and directed after two years of ethnographic fieldwork, activism and engagement with evicted people in the city. The film follows the story of the Vulturilor 50 community (100 individuals), whom dwelt on the street of Bucharest from September 2014 to June 2016 in order to fight against the eviction from their home, enacting the longest and most visible protest for housing right in the history of contemporary Romania. The vicissitudes of this community are interpolated with a number of interviews with activists, scholars and politicians, composing a picture that speaks of racial discrimination, homelessness, evictions, but also of grassroots practices of resistance and social change. 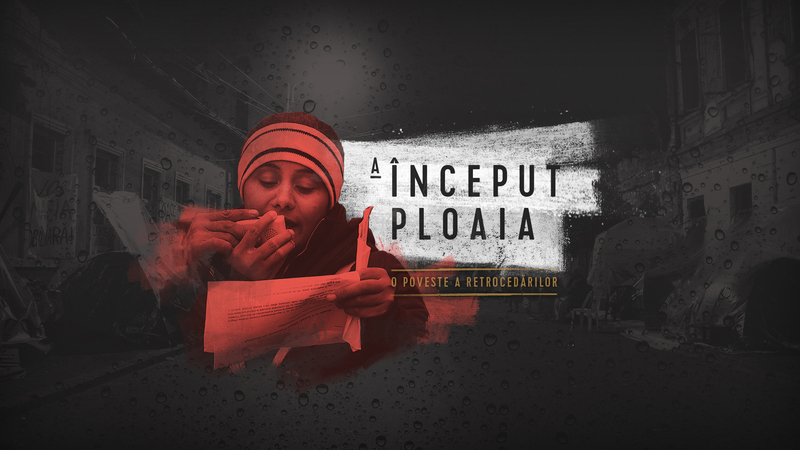 A început ploaia is the touching testament to the everyday revolution of Roma people fighting forced evictions from the centre of Bucharest, an endeavour made of fragile dwellings, provisional makeshifts and tenuous – but fierce – occupancy of public space. The story behind the makings of the movie is long and complex. You can read about it here. Here is the trailer of A început ploaia. Share it wherever you’d like!